Is your company looking to jump the skills gap? Most employers recognize that it is becoming harder to find candidates with the right credentials for the job. Despite the 8 percent unemployment, many recruiters and hiring managers are having a hard time filling their open positions with talented hires. It’s hard to imagine, but just because there are more candidates looking for jobs doesn’t mean those job seekers have the skills you need in your company. In fact, a recent survey showed over 70 percent of employers are having a tough time hiring critical skill employees. This means just because your inbox is flooded with applicants doesn’t mean any of them will be the superstar you need to hire. To make things more stressful, getting stuck with a bad hire can set you back thousands of dollars and untold productivity hours. Here’s an easy way to check for a skills mismatch: check your candidate’s credentials. Whether in their traditional resume or their video resume, you should have a list of just what your candidate can do. Don’t just review this list as 100 percent fact, and don’t forget it’s probably not all-inclusive. The resume, whether it’s a video resume or on paper, isn’t the sum total of your candidate’s credentials. This is why it’s still important to get your candidate to tell you about their skills and qualifications while video interviewing. Here candidates can explain what they’ve listed on their resume and expand upon their knowledge base. Perhaps they left off a program they know or a class they took. Conversely, if you ask in-depth questions about the credentials listed, and their answers seem vague, this could be a bad sign. Maybe they’re dodging the question because they don’t have as much experience as they would like you to believe. The best way to find out what candidates really know is to ask them to get very specific. While video interviewing top talent, ask about specific skills you need for the position. For example, if you’re trying to fill a position where a large part of the day is spent working in Excel, you need a candidate who can work magic in the program. If you ask for a candidate’s comfort level with Excel, you might just get a vague answer about knowing the program well. But just how well exactly? Make sure to ask them specific questions about the knowledge you need your new hire to possess. If they can answer with confidence, they know what they’re talking about. If they ramble, divert attention, or just appear blank then they don’t have the skills you need. Obviously skills are very important for hiring a great employee. But experience is also essential as well. In the video interview, employers should make sure to ask for concrete examples of times employees have brought value to their former workplaces. 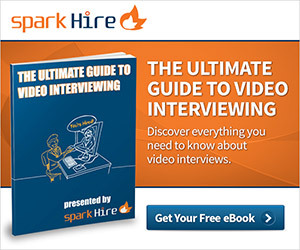 In a video interview, ask job seekers for a time they went over and above on the job. Ask for their proudest work achievement and listen carefully to their response. If you aren’t overly impressed by their dedication or proudest moment, it’s likely you won’t be overly impressed by their job performance. Employers should obviously be looking for specific skill sets when hiring for an important position. Just as important, however, is a candidate ready and willing to grow. Employees who are willing to learn and step outside their comfort zones are the kind of employees who will grow with your company, not leave it behind. In the video interview, ask these candidates how they would like to better themselves and look for job seekers who have specific goals in mind. When hiring, remember it’s important to mind the skills gap. Employers who look for candidates in the video interview with specific credentials, great experience, and growth potential won’t have to worry about the skill shortage. What are some ways you can bridge the skill shortage in the video interview? Share in the comments!